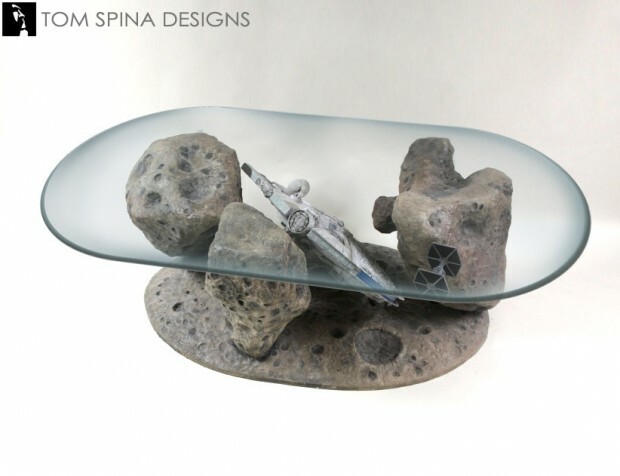 We’ve seen plenty of awesome Star Wars themed furniture pieces over the years, but this custom made Millennium Falcon coffee table by Richard Riley of Tom Spina Designs might just be the best. 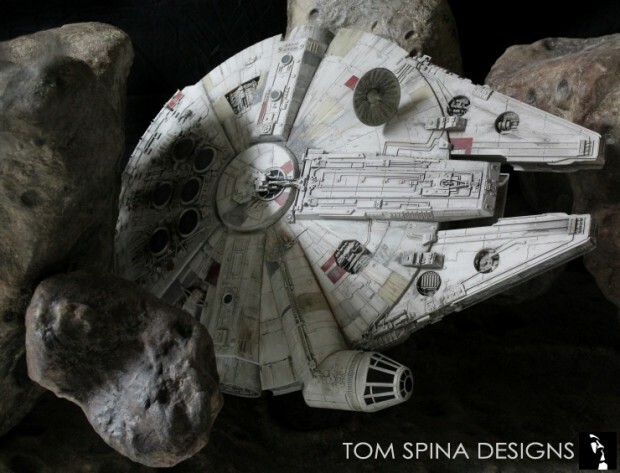 It features the Falcon as it flies through an asteroid field. You can practically see this thing weaving in and out between chunks of debris. Look how great they made it look, with the actual Hasbro ship model there in the middle. 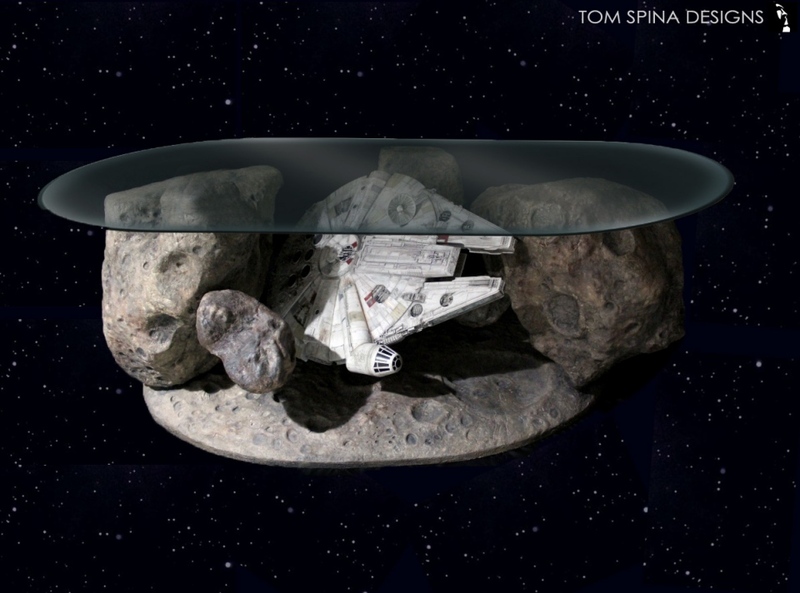 Sadly, even if you are the wealthiest of smugglers, you can not buy this table. It was custom made for a specific individual and is not available for us. Hey, I’m just happy to gaze upon it’s beauty and drool.